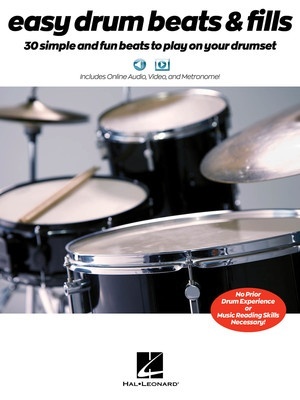 Get started playing cool drum beats today with this book! If you're a beginning drummer, look no further than this very affordable drumset resource. Each page provides a core drum beat with three drum fill options, plus specific suggestions for popular tunes to try with each beat. Includes audio and video demonstrations tracks online (for download or streaming) for every beat and fill in the book, plus a metronome to help you practice at different tempos. Designed for use with a standard 4-piece drumset, but will also work great for expanded kits as well.